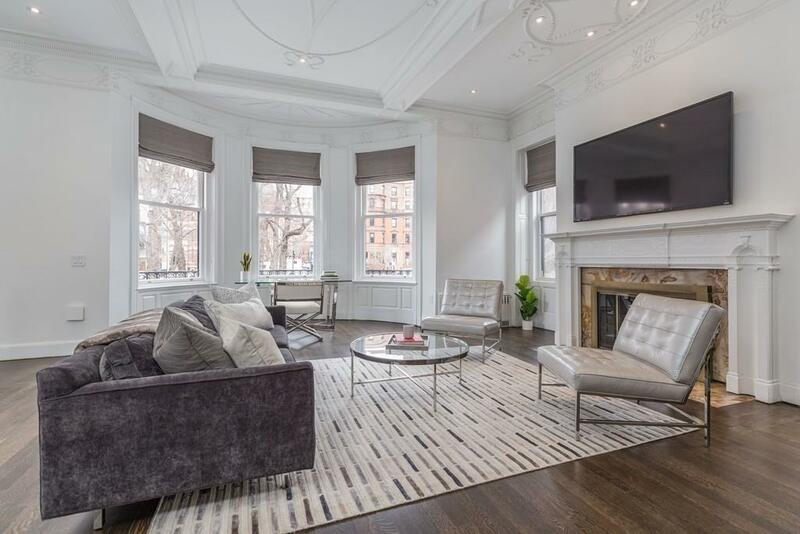 Beautifully renovated two bedroom parlor duplex with views of the Commonwealth Mall. 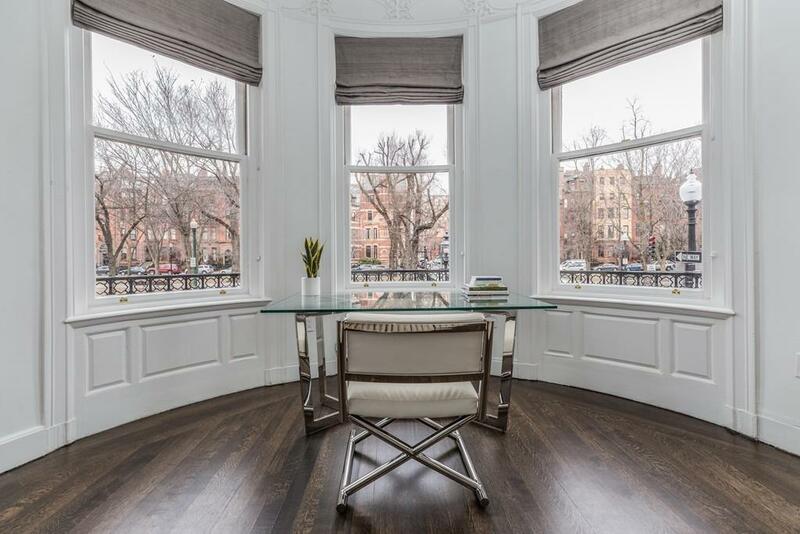 This space blends Back Bay charm with contemporary style. 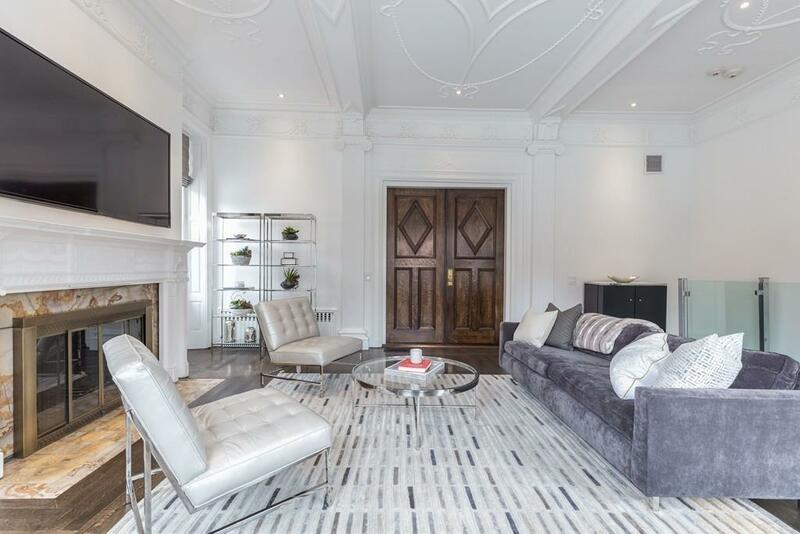 Original mantles, crown moldings, and high ceilings are complemented with marble countertops, dark hardwood floors, a custom glass stairwell and luxurious bathrooms to create a unique modern home. The space offers two unique living areas to entertain, complete with fireplaces in the formal living room, entertainment room, and master bed room. The master suite offers tremendous storage and privacy. Premium appliances, recessed lighting and full size washer/dryer round out this incredible home in an absolutely unbeatable location. 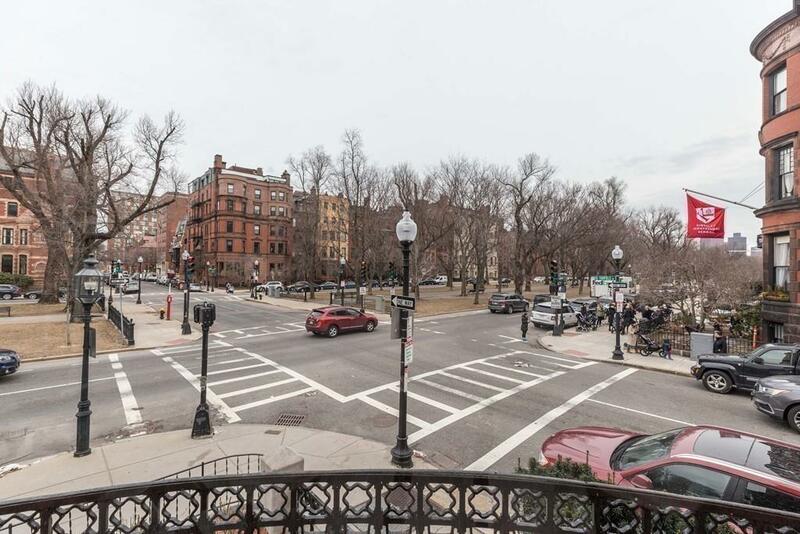 Directly located adjacent to Kingsley Montessori, a few feet from Newbury St and all that the best of Back Bay Offers. Listing courtesy of Andrew Haddad of Northeast Development & Investment, Inc.. Listing provided courtesy of Andrew Haddad of Northeast Development & Investment, Inc..